Have you been telling yourself for the longest time, that you need to start a budget… you know, every time you get a low balance alert from your bank? Are you sick of feeling that bills just seem to pop up out of nowhere? Wait a minute… Didn’t you just pay for car insurance? Or did you? Do you always find yourself down to your last $20, the week before Pay Day? Did you say yes to any of the questions above? I’ve been there and done that. And I’m here to help you get more organized. 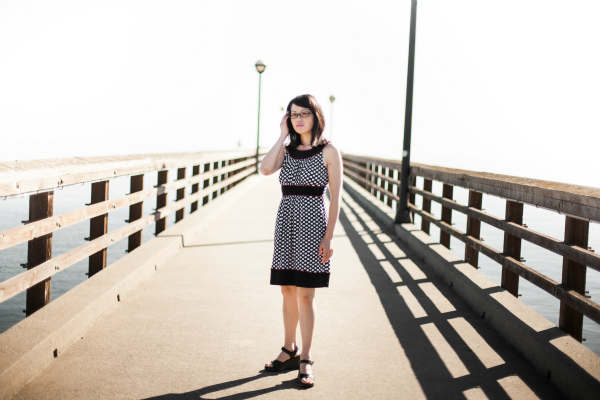 Years ago, my husband and I had $10,000 in debt and it was overwhelming. There were 4 credit cards to pay and a ridiculous Internet loan, all with different due dates, minimum payments, and passwords. It was a lot to manage. How in the world would we ever pay it off? Which card should I pay off first? It was sooo confusing! On top of that, there were regular household bills to pay and I always lost track of when I paid them and when they were due. And you know what happens when you don’t pay household bills? You find out when the garbage company doesn’t pick up your trash or eek… they cut your cell phone line! Then, since I wasn’t budgeting, I ran up debt on another credit card. I was so stressed out that I started getting panic attacks and I couldn’t sleep at night. My heart was pounding out of my chest, when I was sitting on the couch, trying to relax. I felt ashamed and alone. This isn’t something you talk about with your friends. Some people don’t even talk about this stuff with their husband! But I knew I wasn’t alone. I knew other people struggled with this too. I tried different free budget worksheets but they were kinda boring to look at. And boring means that I won’t do it. Then I tried online budgeting tools but they were always an afterthought. Even though they tracked things automatically, I could be lazy and ignore it… which I did. And I hated having to update check transactions and finding another way to track cash. I also needed a way to track debt payments and look at all my bills all in one place. And I wanted to track my financial goals. I knew where I wanted to be – financially secure and savvy with money. But how would I get there? I finally had enough and decided to create my own budgeting system. My top two must haves were that it had to be cute and easy-to-use. 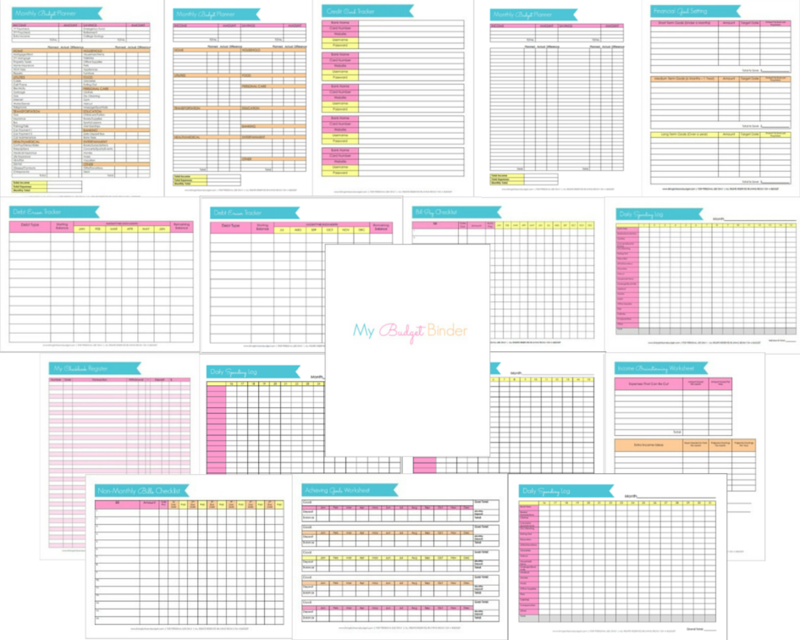 So I designed cute budget printables that help manage and track bills, debt payments, expenses, financial goals and the big B-word, Budget. Honestly, I needed something cute to help me stay motivated! And it worked! This changed my relationship with money for the better. When I track my money now, I feel more in control and secure. I feel less stressed and overwhelmed because I know what’s going on with my money. And with Budgeting Made Easy, I don’t feel like bills pop up on me anymore. I can look ahead at upcoming bills and make sure there’s enough money in the bank to cover them. No more lost bills either. I can also track bills that are supposed to come each month and those that happen every few months and be more prepared. Because everything is written down and being tracked, it’s one less thing for my cluttered brain to think about. And I can breathe easier and worry less. I can plan ahead now instead of falling behind. And I know you can do it too! You want to change things around. You don’t have a budget and want a step-by-step guide. You like writing things down on paper. Feel more in control of your money. Pinpoint where you’re overspending by tracking daily expenses. Pay off debt with a strategy. Make your budget easier to stick with, using this system. Brainstorm ways to save or make extra money. Plan to get ahead instead of falling behind. 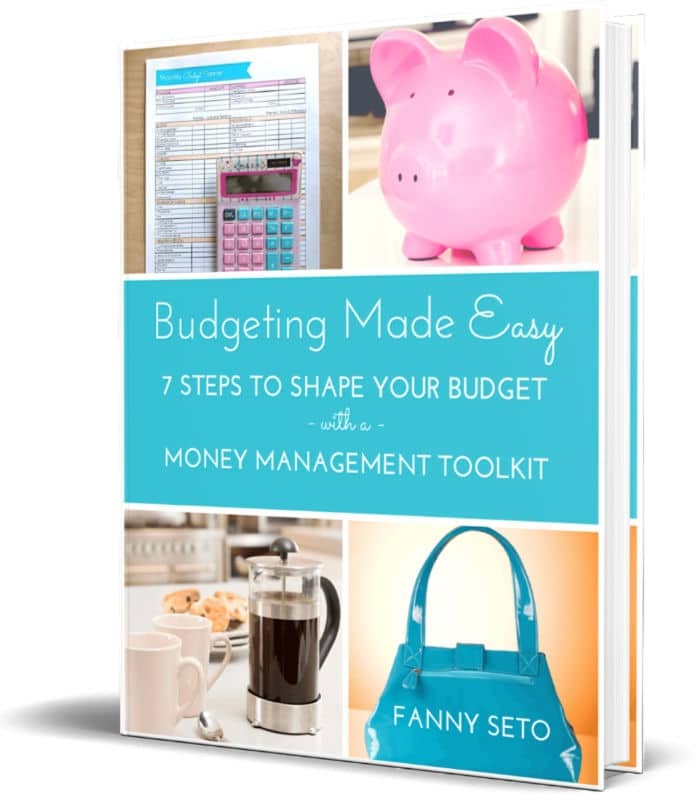 BUDGETING MADE EASY ebook is 56-page guide with a 7 step system to create a budget. This ebook shows you how to create a budget, organize bills, pay off debt strategically, and set financial goals. 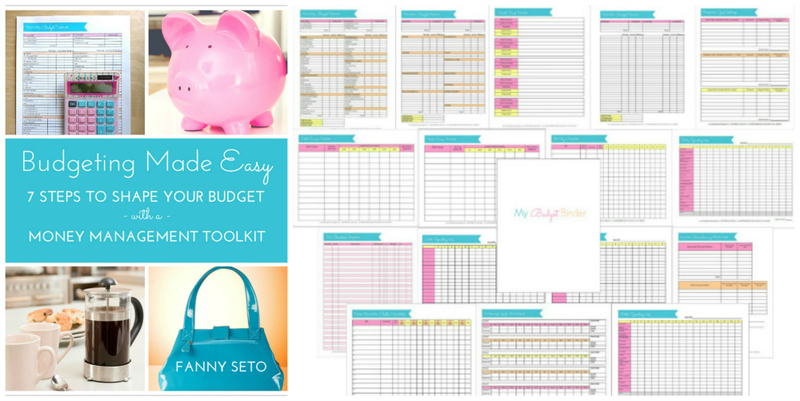 The MONEY MANAGEMENT TOOLKIT (with 17 printable worksheets as seen below) is integrated into this ebook and is also stored in a separate folder for easy access. The book details how to use these worksheets most effectively. 3 different versions so you can customize your budget. Use this to track expenses, easily. 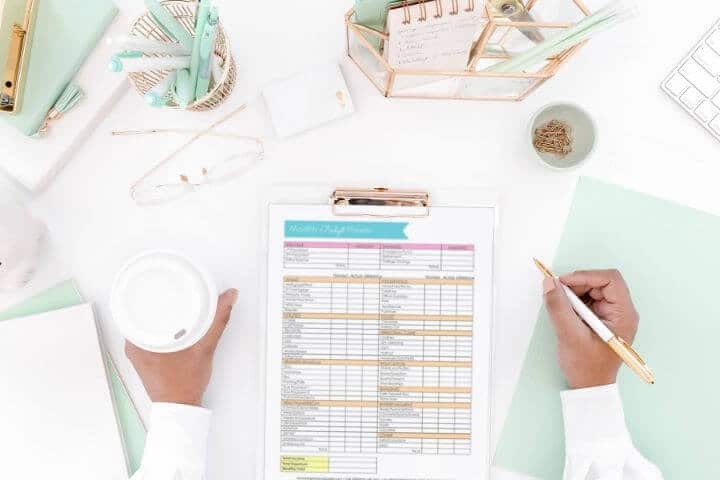 There are 2 versions, 1 that’s filled in with categories that correspond to the Monthly Budget Planner, and a blank template for you to customize your categories. Use this to track monthly bills, how much is due and when. Track bills that come a few times a year. Keep tabs on your debt payments and formulate a plan to pay off debt. Set financial goals and plan for the future. Plan out how you’ll achieve your financial goals. Brainstorm what expenses you can cut and ways to earn extra money. Store your username and passwords all in one place. This is handy if you have multiple cards. 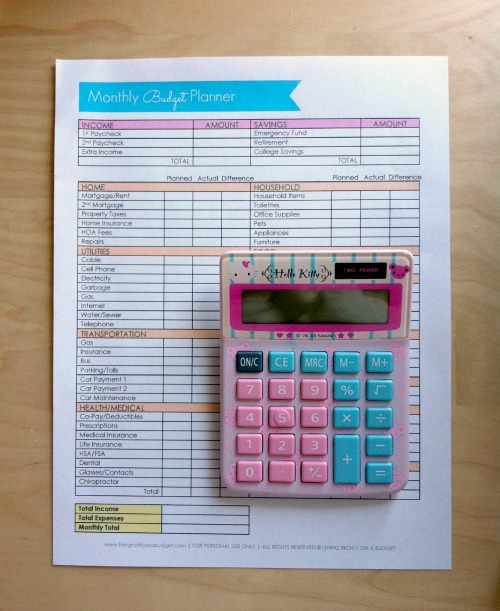 This is a cuter way to track your checkbook activity. To place on your binder cover. Because if you don’t, nothing will change! You still won’t have a budget which means you’ll continue fumbling around to pay off debt and letting your money dictate your life instead of telling your money where to go. You’ll still feel like mess, struggling to pay bills on time and paying those darn late fees. You’ll save money with Budgeting Made Easy when you have a system to track bills so you can pay them on time and avoid late fees. You’ve been looking for a long time for the right budgeting system. Let’s face it. You’re not excited about Excel because you associate that with work. And who wants to think about work when they’re home? Instead, you envisioned a cute budget binder, something that you look forward to writing in and decorating with washi tape. And then you’ll calculate things on a super cute calculator. After all, you know yourself. You like beautifully designed things and they help motivate you. HOW IS “BUDGETING MADE EASY” DIFFERENT? 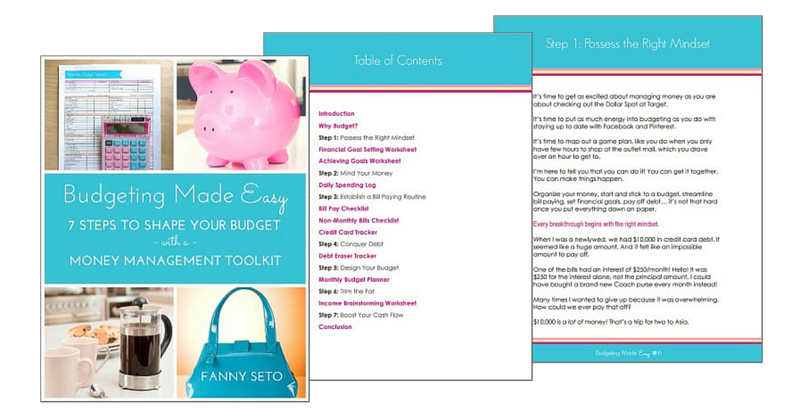 Budgeting Made Easy is an ebook with budget printables to guide you through a step-by-step process of tracking expenses, debt, and bills, as well as setting financial goals and creating a budget. HOW DO YOU MAKE BUDGETING EASY? 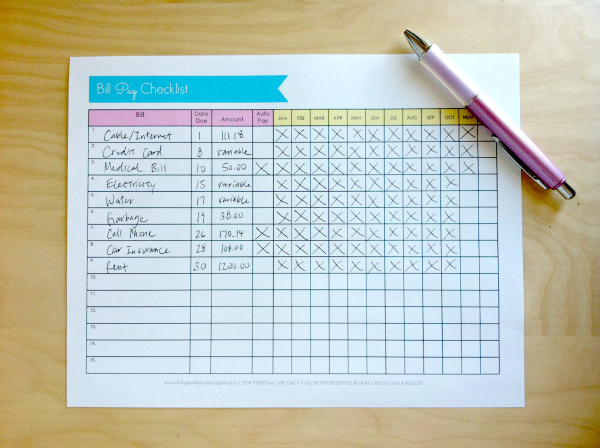 Creating a budget becomes easier when you break it down to a step-by-step system. Focusing on one thing at a time makes things less complicated and easier to accomplish. HOW SOON WILL I RECEIVE BUDGETING MADE EASY? After you make a payment, you’ll receive an email from Gumroad with the Budgeting Made Easy zipped file, that you can download onto your computer. WHAT IF I LOSE THESE FILES OR HAVE PROBLEMS RECEIVING THEM? WHAT IF I HAVE QUESTIONS WHEN I’M USING BUDGETING MADE EASY? Email me at fanny[at]livingrichlyonabudget.com (replace the [at] with @). I’d be happy to help you! Please Note: This is a digital product. You will not receive anything physical in the mail.